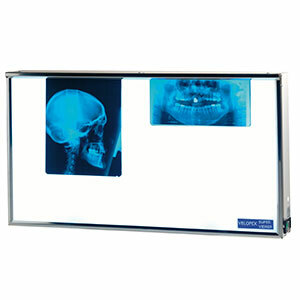 A high quality, robustly built viewer large enough to accommodate any size of dental x-ray film. 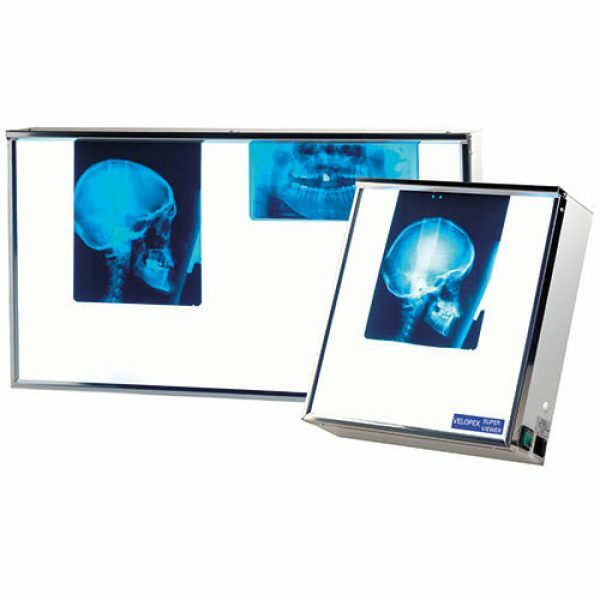 It incorporates a circular fluorescent tube for strong and even illumination, and a simple drop-roller device holds the films secure and allows easy insertion of films of any size. The SuperViewer can be wall mounted and it may also be used laid flat if required for surface work, e.g. tracing. Ideal for the busy practice, the double size lightbox has all the attributes of the single screen SuperViewer but with twice the viewing space. 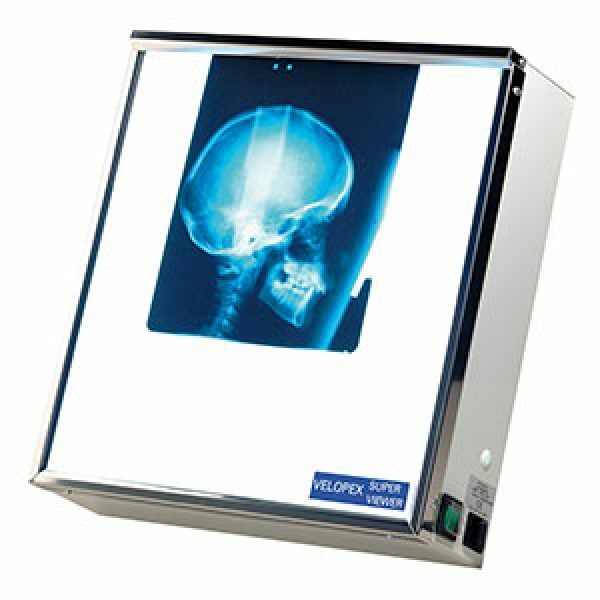 allows large-format films to be examined side-by-side without a central obstruction. 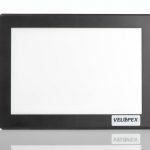 Velopex SuperViewers are available in larger versions to order. 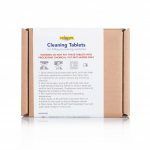 Please call us on 020 8965 2913 or email us on sales@velopex.com.